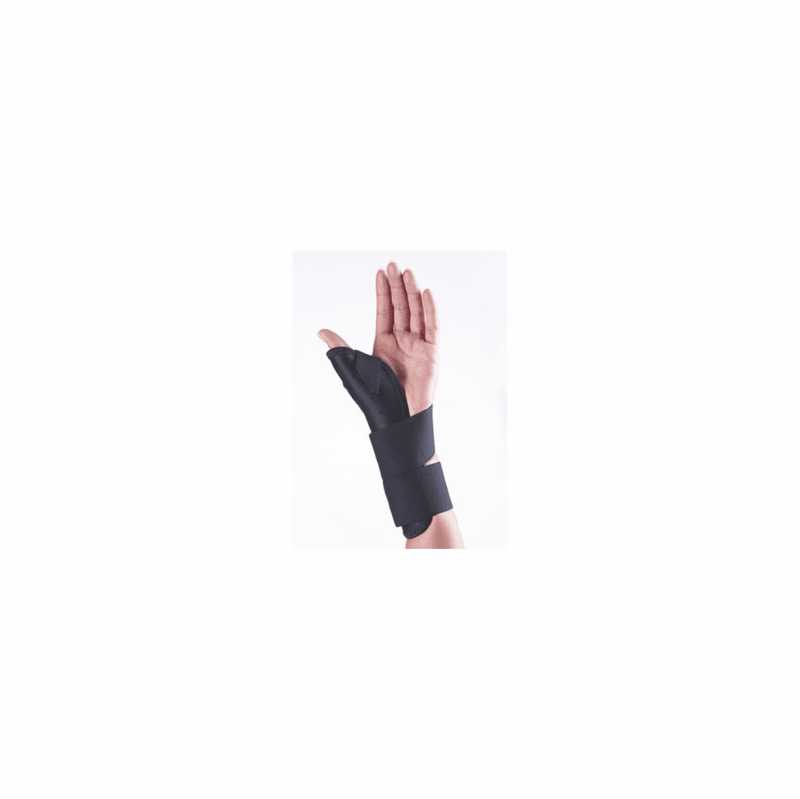 descriptionAnatomically designed to provide comfortable and secure immobilization of the thumb and wrist support while preserving mobility of the other fingers. Indicated for deQuervain�s Syndrome, gamekeeper�s thumb, tendonitis, thumb strains or sprains and post-cast removal. Constructed of vacuum-formed cross linked polyester with stretchable contact closure.